My name is Viesturs. For many years already, sauna has an important part in my life. It is the shower of my soul, capable of wiping off stress, unnecessary thoughts and getting inner harmony. To perfect my knowledge I have studied at many recognized sauna masters. 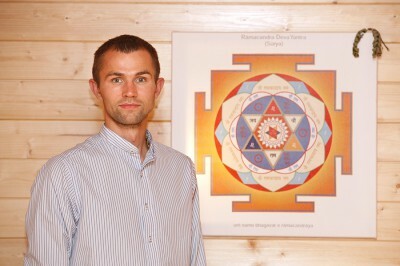 I have completed the Secound Degree in the Usui System of Natural Healing by Meredov A.M. (Atma-svarup). I give lectures and organize workshops about sauna ritual, sauna life, techniques of massage with whisks, contact with the client and meditation in sauna. I have an experience in such trainings here in Latvia and Hungary. It is always astonishing to see the difference after the sauna ritual – the easiness, the lightness, the calmness. My sauna ritual is special because I use the powerful Reiki technique to attract divine energy.